Prompt: Write a listicle about any topic that interests you. You asked for it Internet. Here is my personal ranking for the eight Star Wars movies. Can’t mess with the best. It’s the only movie in the series that can completely stand on it’s own. Obviously that is in large part because George Lucas didn’t have any reasonable expectation that he would be able to film a sequel at the time. But that doesn’t matter. This film changed film. It changed an industry. It is a near perfect telling of the hero’s journey. The lightsaber! I mean…gimme a break. Best moment – I am a sucker for the twin sunsets on Tatooine. Visually stunning. The music swells. It is the last moment of naive innocence for our hero – when the new day dawns he unwittingly embarks on adventure. A lot of people rank this as the best of the series. I won’t argue with that, it’s certainly a very close second place finish for me. This film challenged expectations in so many ways. The big set piece battle was the beginning rather than the end…with some strong foreshadowing for the rest of the film as the Rebels were forced to flee for their lives. The great Jedi master was a weird monkey puppet who lived in a swamp. Darth Vader is merely a subordinate to a more powerful evil. The princess falls in love with the pirate. And so on. The film just ends as a deliberate cliffhanger. I am not quite old enough to have seen this in the theater but I CANNOT imagine how crazy it must have been to wait three years for a resolution. Yeah sure…it’s a heavy retread of the Orig Trig. I don’t care. This movie is what the franchise needed after the slow heat death of the prequels. 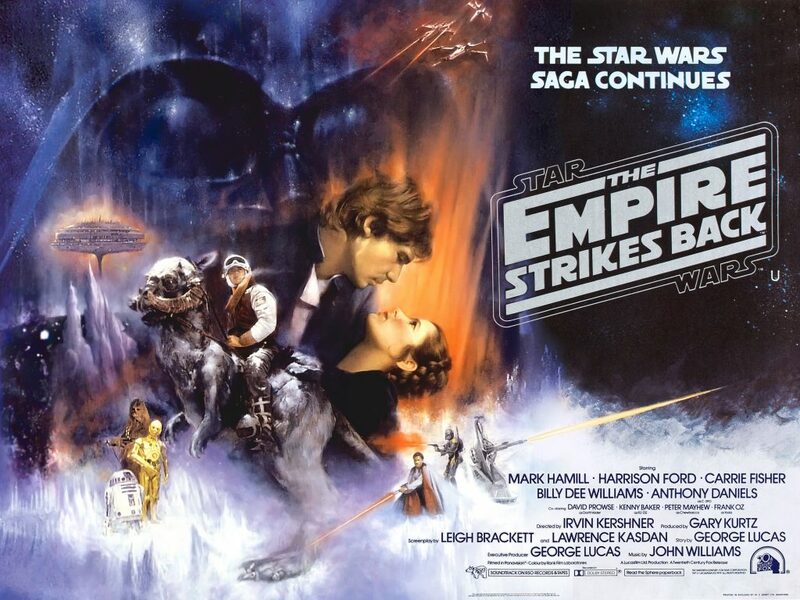 It was fun without being campy (e.g., Phantom Menace). It had emotional weight without being too dark (e.g., Revenge of the Sith). I want to learn more about these new heroes. I don’t think I need to see any more Death Stars though…we can probably put that idea back on the shelf. Best moment – I can’t pick one for this movie. 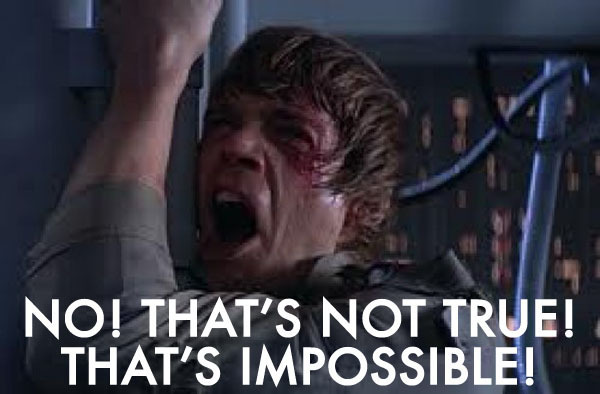 Rey and Finn escaping in the Millennium Falcon was pretty awesome (said me and the rest of the Internet). The interrogation room face-off between Rey and Kylo Ren. The lightsaber duel between Rey and Kylo. Luke Skywalker’s reveal at the end. Great stuff. Ah yes. Apart from the prequels, this is easily the biggest opinion breakpoint among Star Wars fans. 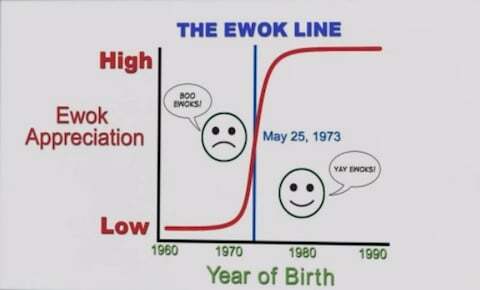 The Ewok Line (as presented by Barry on How I Met Your Mother) is the best illustration of the demographic split. If you were under the age of 10 in 1983, then teddy bears were awesome and logical fighting companions. If you were a teenager or older, then Ewoks were dumb people-filled muppets ruining your beloved franchise. I was born in 1976…so yay Ewoks! Otherwise, it’s a decent film. The editing elevates it a bit through skillful interweaving of three action sequence plot lines during the last half of the film. Once the ball starts to roll, it keeps going straight through until explody Death Star time. Also, this has significant nostalgia value for me as it was the only film from the original run that I was able to see in the theater. Best moment – The lightsaber duel is fine. It hits all the right beats, and Vader’s redemption is classic. However, when I stopped to think about it, my favorite scene is perhaps the few moments that Vader and Luke have alone before meeting the Emperor. It’s only thing approaching a “normal” conversation these two ever have together in their lives. And there’s a lot going on. Both characters are vulnerable and trying to “save” the other. They both know that ultimately one of them will have to die, but neither one wants it to happen. Spoiler – one of them dies. There is a lot about this film that I liked, but the level of fanboy service is perilously close to jumping the shark. Too many cameos and winks to the audience. Yes it was cool to see a dark and gritty “real” movie – but that is also just a sign of our times. 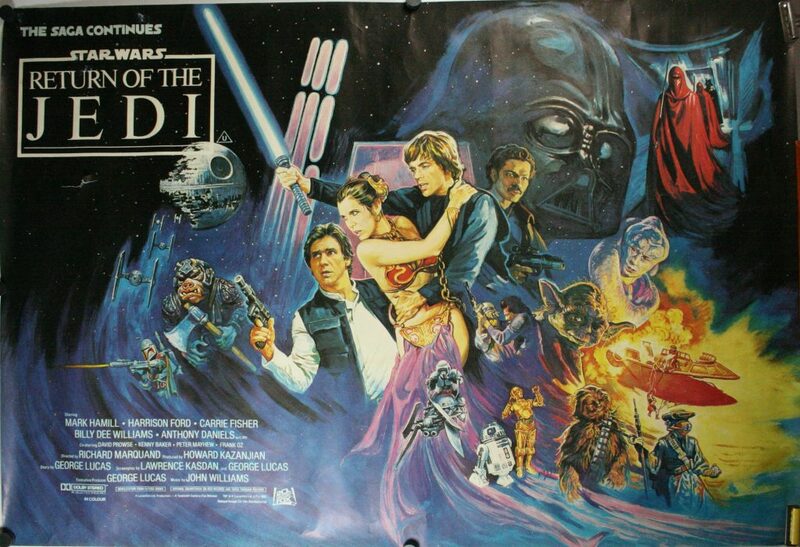 Remember how Star Wars was a light and fun alternative to the gritty (and depressing) films of the 1970’s? Anyway, it was cool, but we’ll see how it holds up. I know this is higher on several of my friends’ lists…some even have it as number 1. I could see it maybe bumping ROJ someday, but no higher. 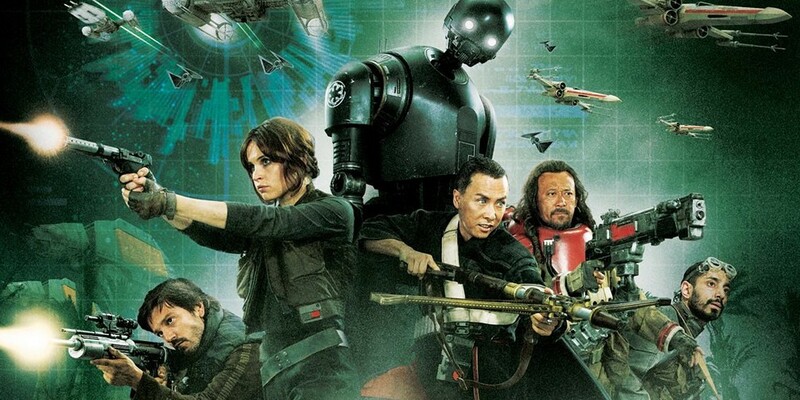 Here’s an interesting test…watch the film one time, and then see if you can actually remember the names of the new main characters other than Jyn Erso. Bet you can’t without looking it up. 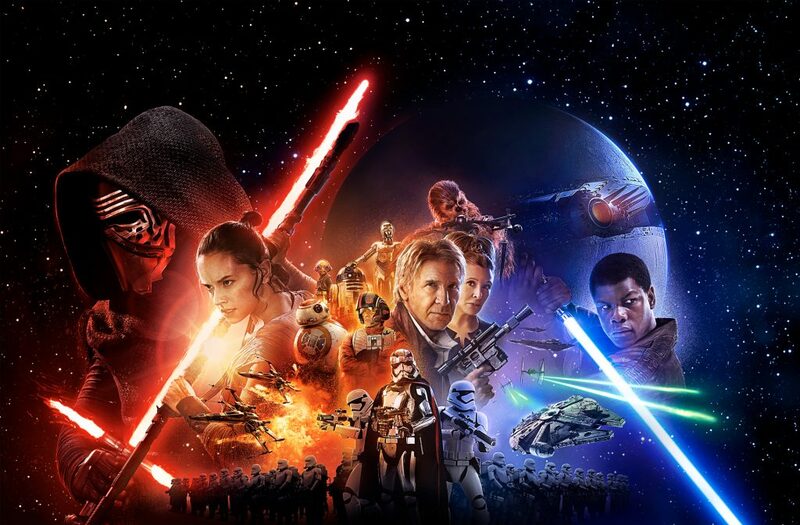 I can’t, and I’m the kind of guy that writes a blog post about Star Wars movies. Best moment – K-2SO. Excellent comic relief which was crucially necessary to balance the tone of the film. I want to watch the movie again just for him. I guess this wins by default? No Jar Jar. The knowledge that it’s almost over. There wasn’t anything blatantly annoying like Episode 1 and it was less overblown and convoluted than Episode 2. It’s fine. Best moment – Easy. Padme’s ruminations. No dialogue. Tense haunting score. Padme and Anakin separated literally and symbolically across the divide of the city. This scene is a perfect and deliberate bookend to the twin sunset in Episode 4. This one is very interesting. I don’t actually dislike it – the story is basically OK, if a bit dull. But upon re-watching it years later I realized that I just blocked out all of the Jar Jar parts like a repressed memory of trauma. Jar Jar Binks is the Ewok Line for the prequels. Kids love him. I was 23 in 1999… But JJB is far worse than the Ewoks. At least the Ewoks had a meaningful role in the story. Go on YouTube and without too much effort you can find numerous fan edits that completely remove JJB and make the movie noticeably better. Best moment – Young Anakin. Haha…JK. 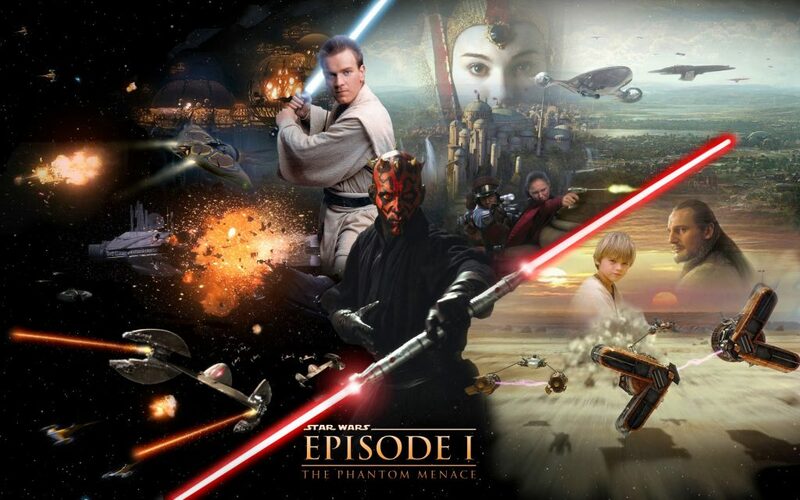 The lightsaber duel between Darth Maul, Qui-Gon and Obi-Wan. It was cool, and the only decent one in the entire prequel trilogy. That super speed run the Jedi did at the beginning of the movie would have been incredibly useful for Obi-Wan to catch up to the other two and save Qui-Gon’s life, but whatever. Also, killing Darth Maul in his first fight scene was the biggest waste ever of an amazing bad guy. I could be convinced to switch this out for Phantom Menace. 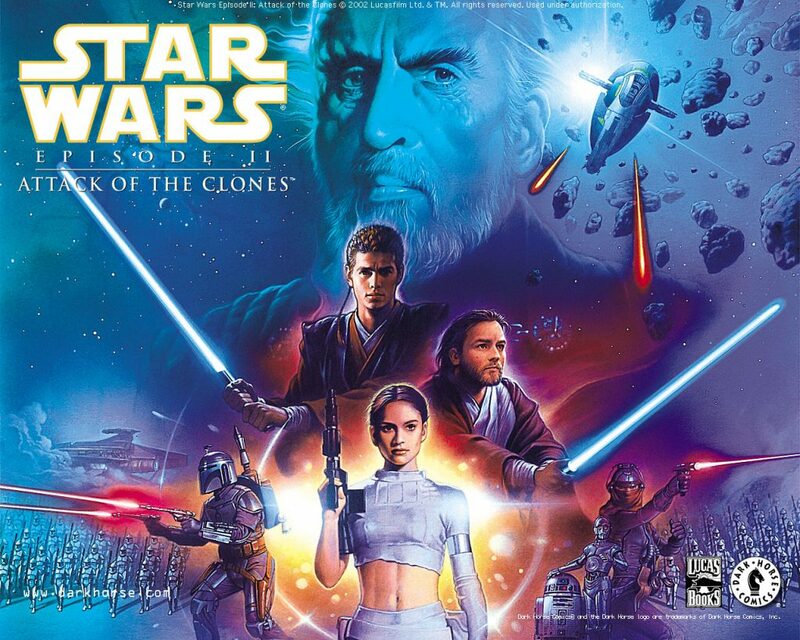 There are some cool plot points for Episode 2, but they were largely overshadowed by the ham-fisted “love story” between Anakin and Padme. Also, it’s kind of gibberish anyway. Clones. Something about Clones. If you liked the Yoda lightsaber duel that’s cool, we can still be friends. Best moment – When I realized that they put a gag order on Jar Jar Binks. Thanks for reading – leave a comment! 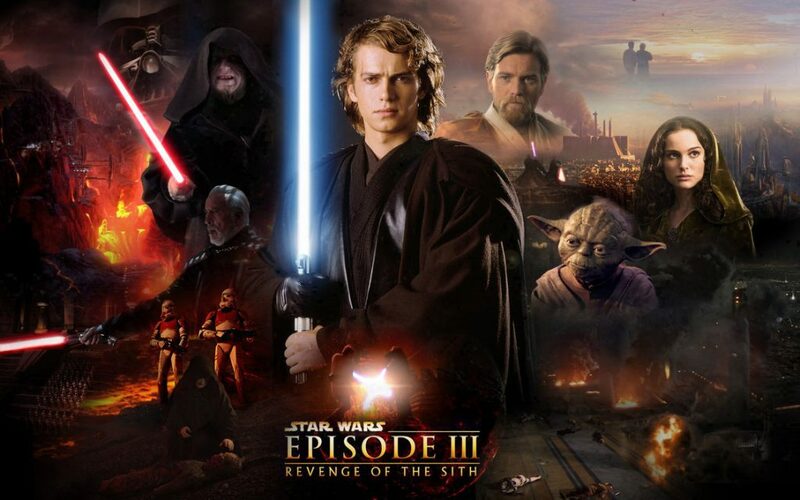 What is YOUR rank order for the Star Wars movies? 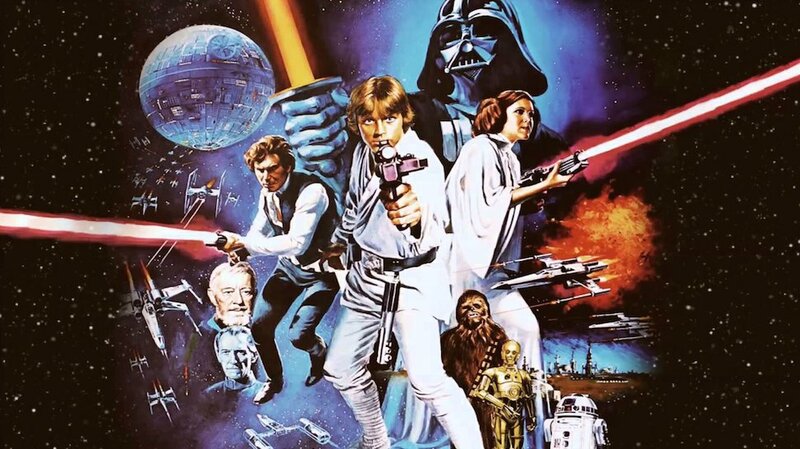 What is your best Star Wars related memory? Prompt: Write a post about challenging situations. Share your biggest teaching challenge and explain how you overcame it. I love being a teacher. I can’t imagine doing anything else with my life. If I may be so bold, I am pretty good at my job. But I didn’t spring forth fully formed. Some teachers knew they wanted to become a teacher when they were in like…fifth grade. That’s cool, but that wasn’t my path. I was good at school. History and English were my favorite subjects. I liked stories and I liked to read. But teaching wasn’t for me. I even said at the time that I don’t know what to do with History or English other than become a teacher…and that’s crazy talk. Mostly it was about self-confidence, or lack of I suppose. Let’s just say that standing in front of a group of people to talk wasn’t in my skill set at the time. Anyway, flash forward a bit and now I’m ready. Let’s do this. I shall teach. Getting my teaching degree was fun. I liked to learn. I liked History. So far so good. Student teaching was…an important professional development experience. It was fine. I learned from great and not-so-great mentoring teachers. The most important thing I discovered is that I am a Middle School teacher. It was a bit of a shock. Nobody sets a life goal to be a Middle School teacher. Other people look at you with a mixture of pity and grudging admiration when you tell them it’s what you do. But it’s true. I love teaching Middle School, and this is totally where I belong. Anyway, I survived student teaching and in the Fall of 2006 I entered the exciting world of day subbing. Within a few months I was very privileged to get a contracted permanent substitute position in my home district. It was a great gig. I got to know the students and the other teachers. I didn’t have any lesson planning or grading. Easy street. I did that for about a year and a half. Along the way I got certified in Middle School Math. That proved to be extremely advantageous. A brand new position opened up in my school – gifted coordinator (i.e., GIEP case manager). The only degree requirement was Middle School Math, so I threw my hat in the ring and got the job. Great! My responsibilities were to teach one section of Geometry, handle the administrative duties for the GIEP compliance, and most important of all, make sure we didn’t get sued. Once my principal saw that I was good to go running the GIEP meetings with parents, I was on my own. The paperwork was a pain, but not a big deal once I got familiar with the process. Teaching Geometry worked ONLY because I had a class of just four students the first year (later on I would expand to two full sections of Geometry and Algebra). But I was also supposed to “do something” to enrich the lives of our best and brightest students, and this is where I hit the wall. When do I meet with them? What do I do when I have them? This isn’t graded so why do they care? In fact, I’m probably taking them out of a study hall where they would otherwise be doing “real” work so this is actually kind of annoying for them. Also, I don’t actually know what I’m doing. And they know it. They’re being polite and all…but I can see it in their eyes. The absolute best thing that ever happened to me in my career is that my boss didn’t look over my shoulder too much that first year. I had room to breathe and make mistakes. I experimented meeting in big groups and small groups. Maybe we should work on study skills? How about some sort of enrichment-y research project? (That one was the worst – it basically involved me getting a lot of books out of the library and then being completely caught off guard when the students did not express immediate interest in reading them). Games? Actually, games worked…sort of. At least they pretended to play the board games and stuff while actually just talking and hanging out. It was a start. But it was a charade and everyone knew it. I wanted to do big things. These were all high-potential, and in many cases high-achieving students. I basically didn’t have to worry about discipline. I had some leeway with the schedule. Most importantly, I had almost complete latitude as to my curricular goals for the program. But I had to do something soon. I was benefiting from an attitude of benign neglect from my building principal, but sooner or later I would be called to account for exactly what I was doing with all of my unstructured time. I started to get irritable and sarcastic with the students. Once or twice the situation got tense and stand-offish. Looking back, I can’t blame them. I was flailing about with no clear goals, or even worse, constantly shifting goals. Then one day about mid-year “it” happened. It was at the end of the day. The students had just left. Whatever I had planned for the day hadn’t worked out at all. I was so stressed out and didn’t know what to do to change things. However, the one thing I knew for sure was that everything would be OK if I just sat under my desk for a bit. Even better, a colleague came in and found me like that. It was totally not the most humbling experience of my teaching career. True story. A historical reenactment of me hiding from my own bad teaching. That was probably the turning point emotionally. One of those times you have to just pick yourself up and go back to work the next day. But it didn’t solve the actual problem. I mean c’mon, all I did was hide under my desk for awhile. It should be no great surprise that my inspiration and solution came from the students themselves. One day, one my Geometry students (also on my GIEP caseload) told me about a coding project he was working on. Just for fun and because he was interested in computers. Kids have diverse interests outside of the classroom. Kids work hard on things they love without needing an extrinsic motivation. Maybe I should do something with that? Yeah… paradigm shifts always seem obvious when you are on the other side. Anyway, that was the beginning of the beginning. I began to learn how to get out of the way. Over time I set up a pretty cool framework for project-based independent study with my GIEP students. Students had freedom to select their topics but had to develop a goal and plan. They did some great stuff: shooting and editing movies, building models, creative writing, self improvement plans. You name it. I learned how to become a facilitator and teach supporting skills. Project planning. Time management. Tracking progress. Reflection. Repeat. It isn’t always easy. I like to be in the way. I like to be the font of knowledge. Me me me. Getting out of the way doesn’t mean that I don’t make critically important decisions in terms of content and instruction. It takes a LOT of planning in advance to get out of the way. Getting out of the way is NOT about efficiency. Students need a lot of time in class to work on skills and process deep content. I need to be comfortable not knowing the answer to all of their questions. I need to be comfortable with situations that do not have one clear “right” answer. I need to be flexible and willing to make big adjustments on the fly. Sometimes I need to ask the students to bear with me as I think out loud through a new procedure. 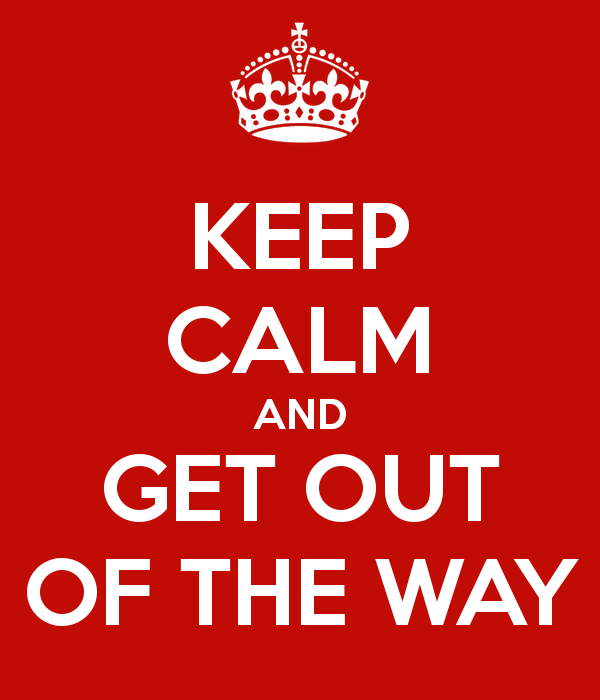 Getting out of the way means that I need to ask for help (totally my favorite thing…). I need to let other teachers see me teach and tell me what worked and what didn’t work. I need to collaborate with, and be inspired by other great teachers like @historycomics @CHitch94 @ziegeran @paulbogush @hiphughes @joetabhistory @TomRichey and many more. I no longer have the freedom of those early years. I teach in a “regular” classroom now. But there are still plenty of opportunities to get out of the way. Here are some that have worked for me. Give them a menu of options to complete a HW assignment. Ask them to do illustrations instead of writing a summary. Make a choose your own adventure activity. Include kinesthetic group activities. Facilitate quick focused small group “turn and talk” discussions on a near daily basis. Provide a choice of questions for the essay test. Play a game. Build empathy for a big problem. Have them create their own guiding questions for a unit of instruction. Ask them to reflect on their learning experiences. Ask them to give ME improvement feedback. It’s not just about engagement, although that is a HUGE piece. Commit to getting out of the way and you will see visible results. Over time, students become stronger and more confident learners. They get better at writing, and researching, and generating their own questions, and dealing with ambiguity. Asking students to make a LOT of small low-risk decisions helps them to do better with the BIG decisions. Teach a person to fish and such. Best of all – it’s now been almost 10 years since the last time I felt compelled to hide from the world under my desk. 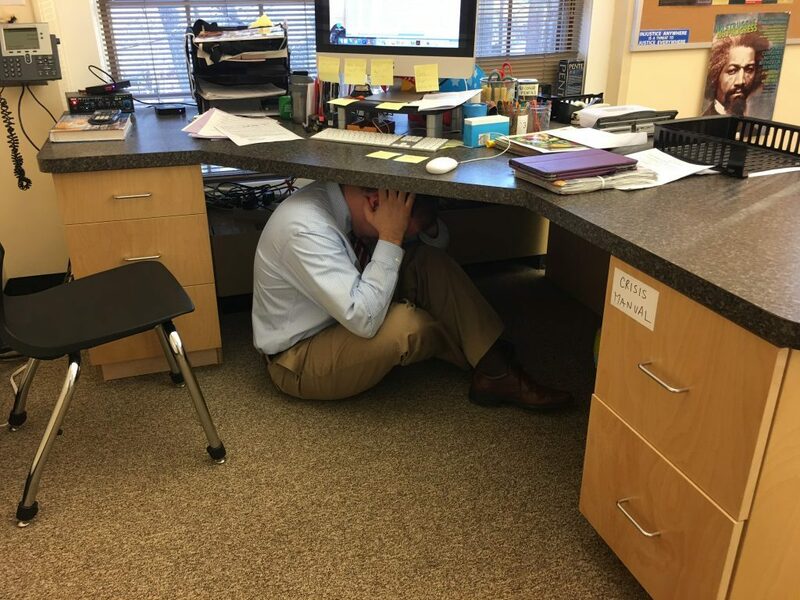 Do you have a “sitting under a desk questioning your life decisions moment?” How do you get out of the way of your student’s learning? What’s your favorite lesson, activity or project to teach/facilitate? As a teacher, there are two distinct phases of my career: life before and life after Google Forms. A little background – my graduate school work focused on using reflective practices in the classroom to promote critical thinking. 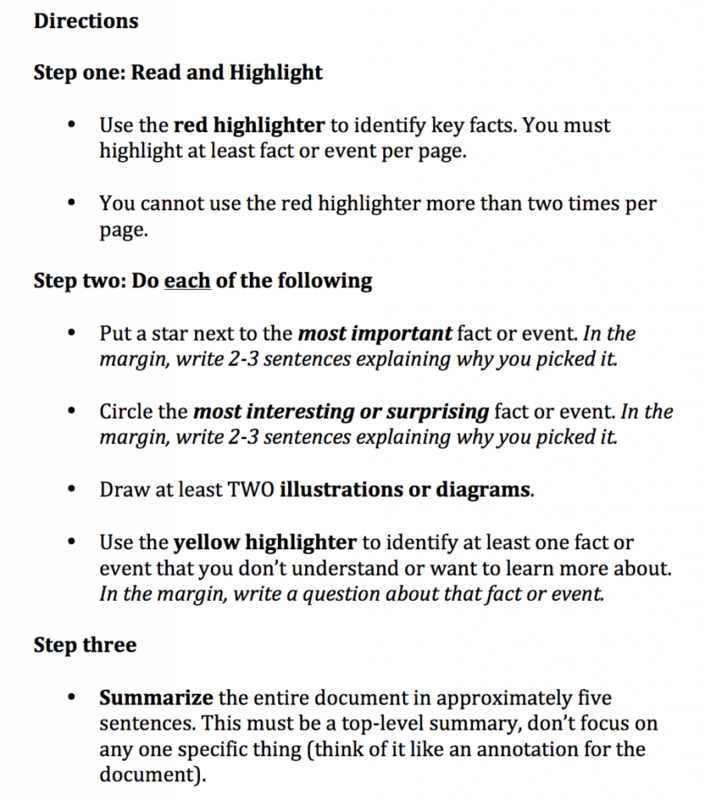 Which is great…until you have to collect and process all of that reflective writing. It can pile up pretty quick. I cannot overstate how much Google Forms has made life easier for me to collect data (e.g., polls, exit slips, journals). You can administer quizzes with Google Forms. Heck, they can even make it easier to plan for the next field trip. You can create a variety of response types including open-ended, multiple choice, scaled response (e.g., rating 1-5) and more. You can even insert pictures or videos. Share the link via email or post to Moodle, Edmodo, etc. Respondents do NOT need a gmail account. The best part, all of the responses are automatically compiled in a Google sheet (i.e., Excel-type sheet) in your Google Drive. You have the form automatically collect student id’s with one click, and all answers are time-stamped. 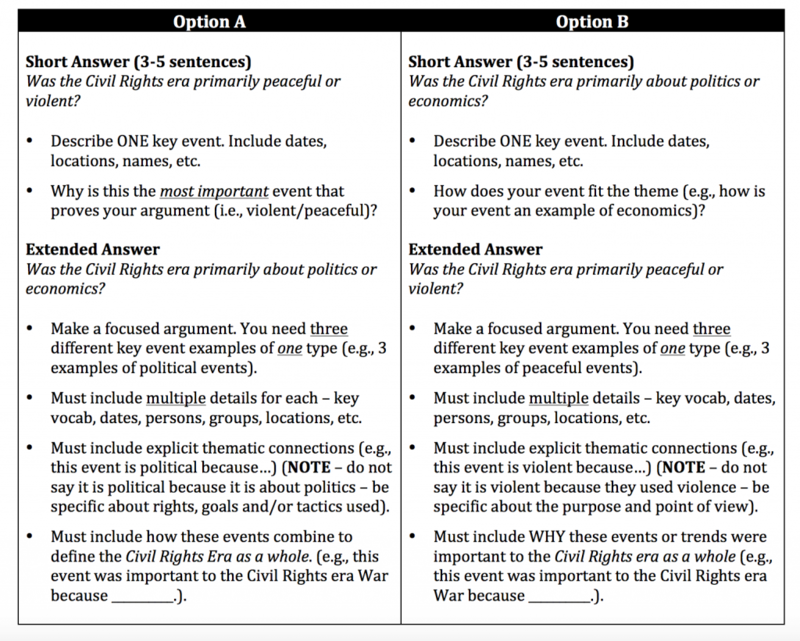 You can view the sheet to see each students’ response or you can create a summary response. I have found summary responses to be especially useful for journal type responses and survey polls. Even better best part, the newest version of Google forms provides automatic data visualization (e.g., pie charts, graphs, etc.) of the responses. Here are some examples from my class this year. Do it. Use Google Forms. Here are some resources to help you get started. Thanks for stopping by – leave a comment! Do you use Google Forms already? What is your favorite or most useful Google Form feature? Do you have questions about using Google Forms? Prompt: Write a post that includes an image. So I wrote this as a warm-up yesterday (more thoughts on warm-ups here). I didn’t really have a conscious plan. 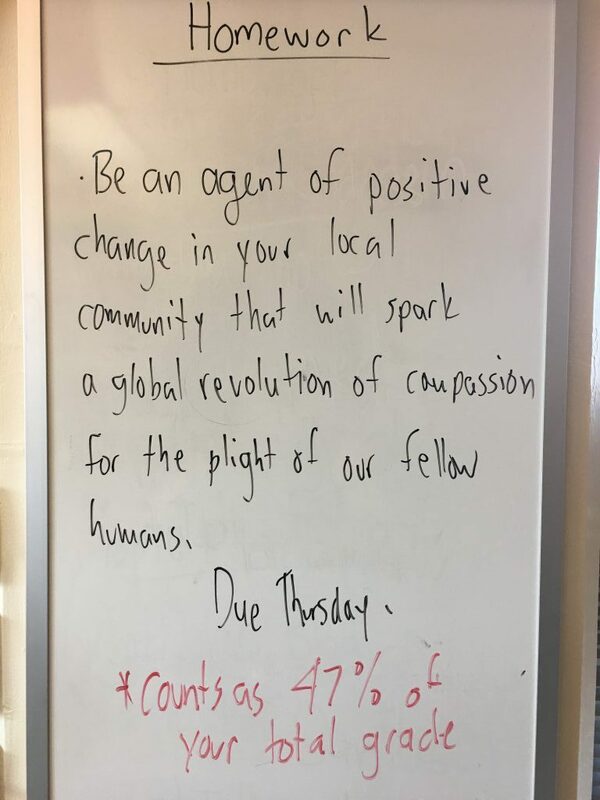 I didn’t have homework to assign, and mostly wanted to write something compelling to see if the students would notice. I certainly wasn’t planning to write this, with the exception of the 47% part – that was deliberate at the end. But hey, I knew it would at least get their attention so I let it ride. 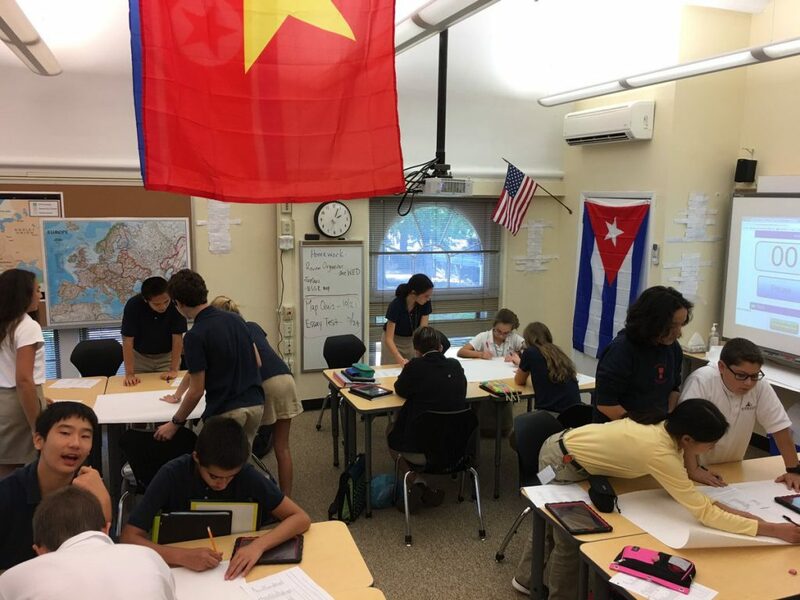 We just finished our Middle East unit which was largely devoted to an examination of the Syrian refugee crisis. Heavy stuff under any circumstance – especially so given the recent changes under President Trump. To turn it up to 11, I teach in a community that has a large Syrian population. I have several students whose parents immigrated to the U.S. They have friends and family still in Syria. One girl told me that she had family members turned back at the airport when everything went down this past weekend. The Middle East unit is always challenging. There is never a lack of pressing and emotional topics to explore. Refugees from civil war. Israeli-Palestinian conflict. Treatment of women in Saudi Arabia and AfPak Taliban regions. Etc. 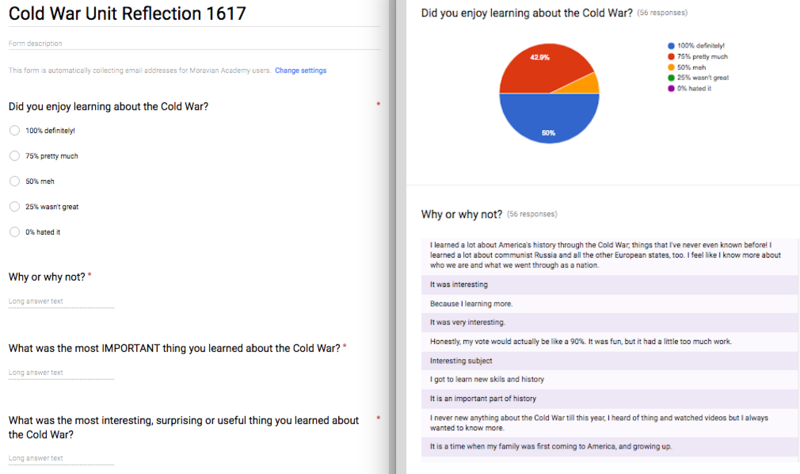 The students consistently report that they find it important and interesting to learn about these topics. But that doesn’t make it enjoyable to learn about them. It’s a drag man. The world can be a cruel. 8th graders are at a developmental level where they can and should begin to grapple with big messy scary issues. I wouldn’t be doing my job if I didn’t challenge them to view the world with open eyes. But still…after a few years of teaching this unit, I’ve come to recognize that slump in their shoulders and grim faces as they leave the class. It’s not that they don’t care. They care so much, and they don’t know what to do with it. Knowledge is power, and a burden. So it totally got their attention. Fun fact – it takes at least 20 minutes for most 8th grade students to realize that any part of it was meant to be humorous. It’s because I added the “counts as 47% of your total grade” at the end. Students do not find it funny when you joke about grades. So what followed was an impromptu speech where I just laid it all on the line. The fact that I know they value learning about these issues but it is emotionally draining. The fact that it is hard for me too. The frustration of not being able to actually solve these problems – and knowing that real people suffer from them. I talked about the importance of simply being knowledgeable about current events. We can’t solve problems if we don’t know about them. I encouraged them to keep learning about important issues even when it is a little painful or challenging to their worldview. I asked them to talk to peers and parents about these issues. They know more about the Syrian refugee issue than 90% of the rest of the country at this point. Students, particularly young students, rarely appreciate their own content mastery. It’s not enough to be nice and polite. That’s what most of them assumed I really meant at first. Just be nice – hard to argue with that, right? But, I went on to say that it wasn’t enough to not be a bad person. We need to actively look for, and sometimes create, opportunities to do good things. Small things for the most part. But small things matter. And small things have impact, particularly if a lot of people are doing a lot of small things consistently. So I implored them to look the small opportunities to do good. You don’t have to organize the donation drive, but you can easily participate in it. Action breeds confidence and motivation. The way to fight despair is to keep swimming. Do the next right thing. You feel productive because you are productive. It’s a start. A small but necessary start. I’m not ashamed to admit it. The Walp was on fire. I had a captive audience. I was doing it! I was making an impact! Looking back, my only regret was that I didn’t think to stand on my desk. But there is a tiny postscript to my story – and it perfectly captures why I love working with in middle school. At the end of the period, I had a very nice, but slightly nervous student ask me on the way out, “So, I’m confused…do we have any homework?”. Thanks for stopping by, please comment with a link to your blog! 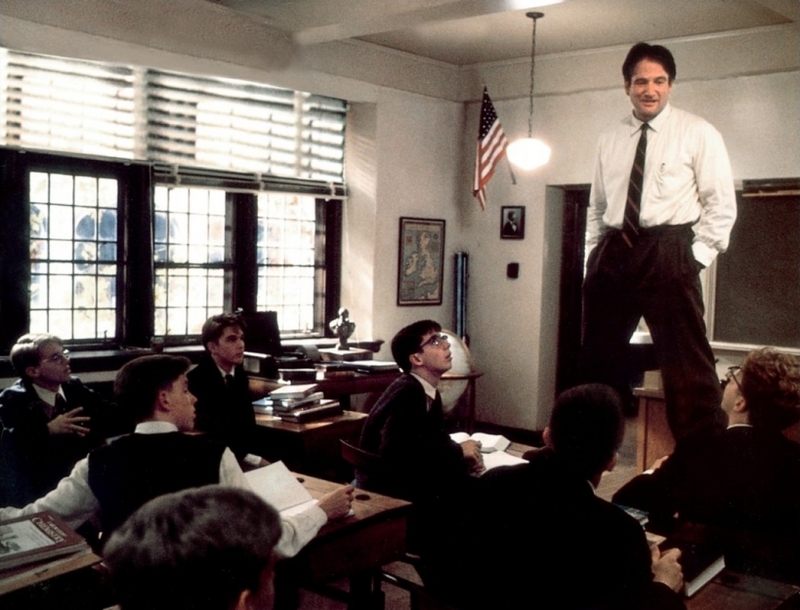 What is your inspired, impromptu standing on a desk teaching moment? Ah ah ah ah staying alive staying alive. So this weekly blogging club actually expects you to blog every week, eh? I’m going to cheat a bit and do a couple of posts at the same time to catch up. Prompt: Write a post that discusses leadership, peer coaching, and/or effecting change. I am grateful that the prompt also included sentence starters or I probably would have skipped this one. …change a system (rule, procedure, etc.) without understanding why it was put in place. I am probably guilty of this quite a bit. I enjoy tinkering with systems and building new things. Whenever I am part of a new group I am the nerd that wants to write the bylaws. Seriously. In a lot of ways it is a strength to see and understand how different parts fit together. The main challenge when working with system in need of repair or update is to accept the system as it is and figure out how to achieve workable and sustainable change without just burning down the house and building a new one. Sometimes that is what is required, but usually not. …assume that the organization chart represents the actual power centers and influence of an institution. I still remember the first time I learned about the four frame model while in graduate school. #mindblow. …ask questions and listen to responses. …are willing to be wrong and admit to it. …are willing to be right and criticized for it. …communicates vision, goals and timelines. …identify and build relationships with all stakeholders. …know when to be democratic and when to dictate. All of these attributes are incredibly important, but I think this last one is the “special sauce” that can really impact the effectiveness of a leader. Basically…being a good people manager. Most leaders that I have worked under are strong with one style but very weak with the other. It’s challenging because as individuals we are more naturally proficient and comfortable with one style – so switching gears takes practice and effort. …is disruptive even if it is “good”. …only happens if you get buy-in from your stakeholders. To me, the disruptive element of change is perhaps the most under-appreciated aspect. Best case scenario – everyone is on board with the need for change, the vision for the future, the steps and timeline to enact the change, sufficient resources (including time) are available and provided as needed without any fight or fuss, and implementation proceeds smoothly without an unexpected problems. Even under those fantasyland conditions, change is still stressful and a lot of work. And of course, we live in the real world where some, many or all items on that list are missing or imperfectly addressed. Basically, stress is stressful, no matter the cause. 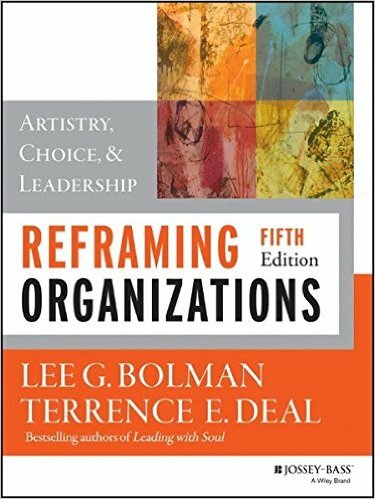 What is your go-to or most influential leadership book, movie, quote, etc? What was one of your leadership “aha” moments? Two weeks in a row of blogging – watch out world. I work in a small private school with a typical class size of 12-15. That means my current room is smaller than my “normal” sized classrooms when I taught in public school. However, I am suuuuuuuuuuuuuuuuper spoiled in my current space. It has a lot of windows with a terrific view. Icing on the cake…I am about 10 steps from the computer lab in the student center. IT’S MINE…ALL MINE HAHAHAHA! Ever since my first teaching gig, I have always preferred to arrange the desks into pods of 4-6 students rather than use rows and columns. It creates more space for me to roam, and allows easy facilitation of pair-and-share discussions. My desk is situated with a clear view of the door and hallway outside, but is also in the “back” of the classroom due to the set up of my projector screen and white board. 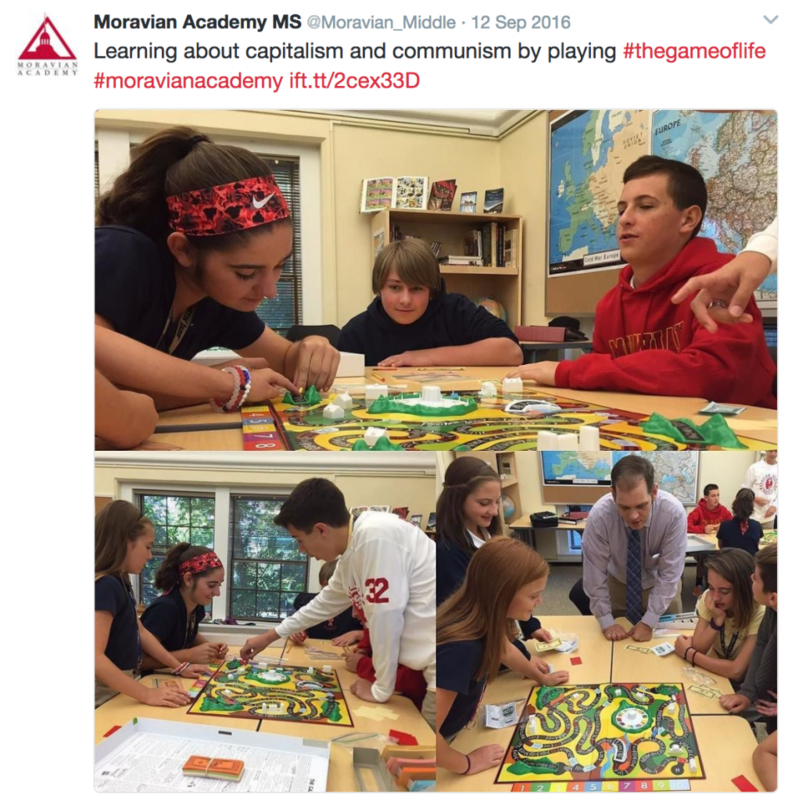 I have been at Moravian Academy since 2015, so I am getting very settled into my classroom space, but prior to that I had a run of three different teaching assignments at two different schools in the space of three years. As a result, I learned to travel light. I don’t keep a lot of materials (e.g., print outs, old projects, etc.) on file or in storage. Anything important I maintain as an electronic copy – I actually hate it when I only have a hard copy of a resource, I always lose it! I have a nice sized storage closet in my room (again, very spoiled) that I clean out a few times a year. No mess. Except my desk of course…that is a constant battle. I have a very sophisticated design style. Maps. Flags. Done. I do have a little step in my game though, I rotate everything each unit so the whole room stays relevant to the topic at hand. I am particularly happy to have such a high ceiling to allow hanging a 3×5 flag with head clearance. As a side project, I am working on a classroom library of content-specific texts, particularly young adult, memoirs and graphic novels. It’s mostly window dressing at this time, basically just for enrichment. But I have had confirmed sightings of students actually grabbing something off the shelf and reading it. At one of my previous gigs, I had to clear out 20 years of accumulated “stuff” from the previous teacher. It was sort of a pain. But it served a very concrete lesson for me. Everything in that room was kept with a purpose in mind. It made sense to someone at one point to keep four (mostly) complete sets of wildly outdated encyclopedias. It was perfectly logical to keep a small desktop film projector with a box full of old lectures and presentations. Dozens of work student work samples. And so on. I mean it when I say it made sense…it did. A lot of the information in the encyclopedias is still “good” and more reliable than Wikipedia. If you were so inclined, you could go through those old filmstrips and transpose the lectures to PowerPoint. Everyone knows the best way to model for students is to use student work. Yadda yadda yadda. That way lies madness. So anyway…I guess I saw a possible future for myself and I didn’t like it. I think most teachers have a hoarder instinct. I know that I am always on the look out for the next “thing” that I could probably use sometime. But it can turn on you. Sometimes you just need to be honest and say, “this may have value and relevance, but I don’t need it and/or won’t likely use it”. Even more difficult, “this was once a useful thing, but no longer”. Own your space – particularly your storage spaces. When is the last time you cleaned out that file cabinet? Do you really know what’s in there? It’s OK…just have one of those big recycle bins ready when you go in. 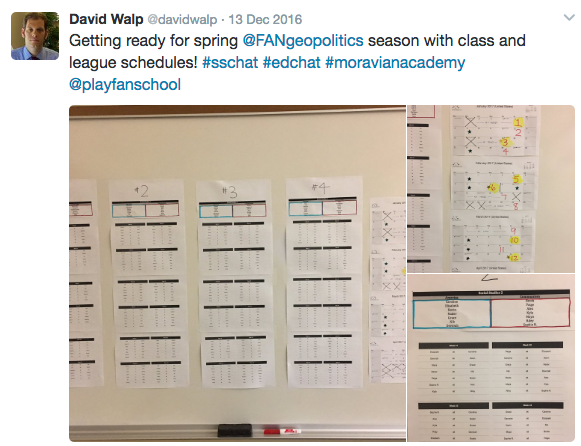 Thanks for stopping by, please comment with a link to your blog so I can see your classroom space! Hi all – glad to be part of the club. Looking forward to learning from fellow teachers and reading some great blog posts! My first blogging experience was part of my graduate school requirements. You can read my groundbreaking first post here. 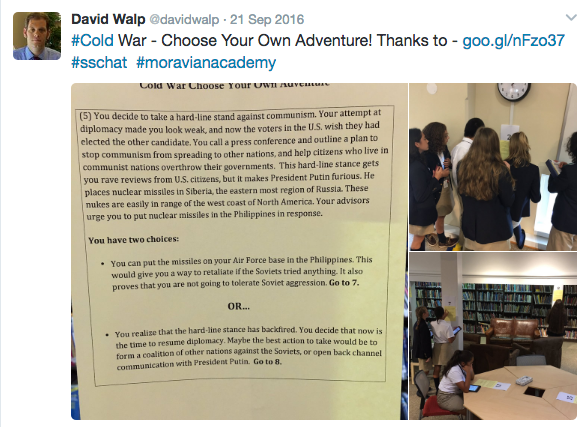 Since then, I have very infrequently maintained this blog primarily as a means to highlight lessons or projects from my classroom – basically a digital portfolio I suppose. Do I read other blogs? What are my favorites? How do I keep up with them? I have a number of blogs that I enjoy reading, but I don’t regularly do so (another goal for the new year…). I use feedly and Twitter lists to keep track of my favorites. What are your goals for the #EdublogsClub? I would like to develop a habit of regular blogging. To do so I need to change my mental mindset about this blog. 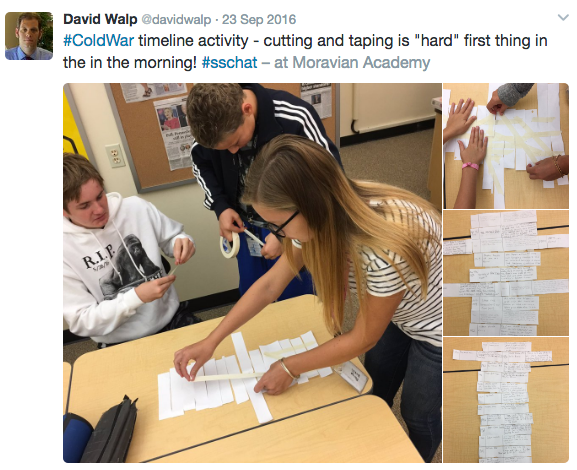 Historically, I have only posted a few times per year with classroom lessons or projects. I am hoping that the structure and support community of the #edublogsclub will help me to take it to the next level! Thanks for stopping by, please comment with a link to your blog so I can return the favor! Here is my compilation video on the regional conflict between Saudi Arabia and Iran. It includes background information on the Sunni/Shia split, major conflict areas (e.g. Yemen), the Iranian nuclear deal and a recent news clip about the cutting of ties between the two countries. At 12 minutes it is a bit on the long side. Allowing for teacher commentary and pair and share time for students, this will probably take the better part of a 40 minute period to view. This is the sixth compilation I’ve made this year, and I feel that I am starting to get a sense for the editing and pacing needs. We have just started our Middle East unit. Last year we discussed ISIS a bit, but we ran out of time before we could really focus on the refugee issue. Unfortunately, the crisis is only getting worse, so no matter what cost in time, we will examine it this year. Although this lesson focuses on the Syrian refugees, it is important to remember that there are significant numbers of displaced peoples from other countries as part of the overall “EU refugee crisis”. This map shows how large Europe’s refugee crisis really is – check out this interactive map on the origin and destinations of refugees moving into Europe compiled from three years of UN data. 1. What are three adjectives you could use to describe the scope of the refugee crisis? 2. How has the refugee crisis changed over time? In 2015, which countries have the highest number of refugees leaving? Why do you think that might be true? Which countries are the most popular destinations for refugees? 3. 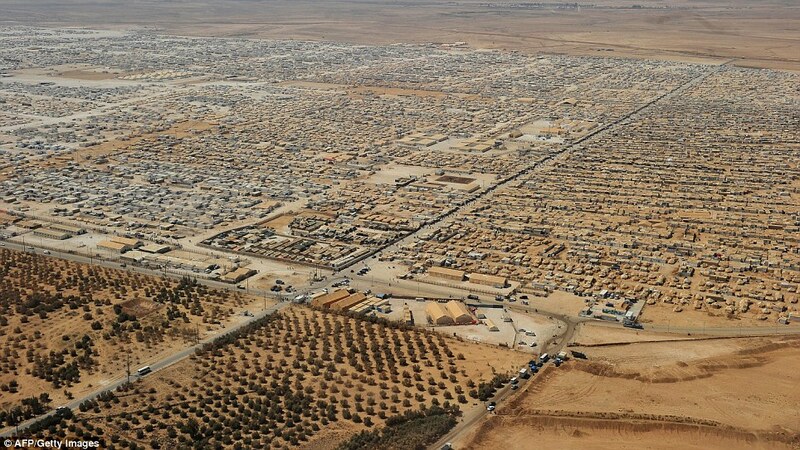 What are some challenges that refugees face? 4. According to the U.N., what is the difference between and refugee and a migrant? Why does it matter? In particular, I think is important that my students see the human face of the crisis, and hear the stories of civilians who trying to escape from the violence, chaos and extremism that is consuming so much of Syria. Fortunately the excellent Humans of New York blog is currently doing a terrific series on that very topic. Here are some of the Syrian families that have been cleared for resettlement in the United States. 1. Are there any trends or similarities between these stories? 2. What was the most surprising, interesting or powerful thing you read? 1. Please share stories and resources! 2. 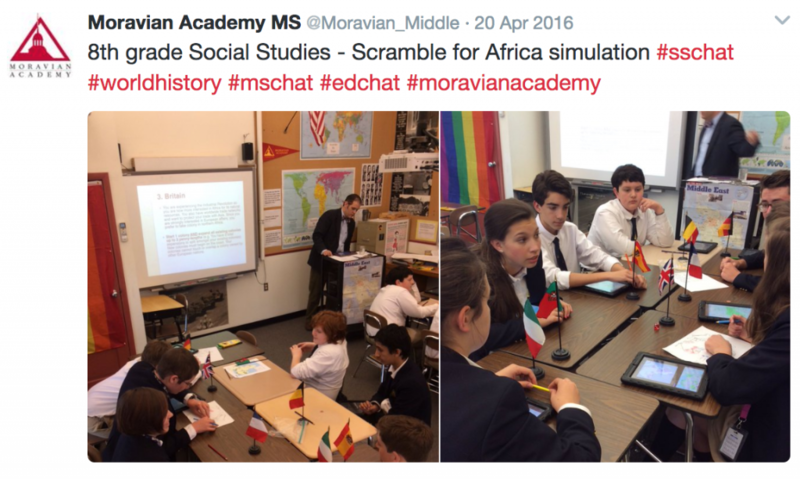 Are you planning on teaching about the refugee crisis in your class? What lessons or activities are you using? Here are the results! 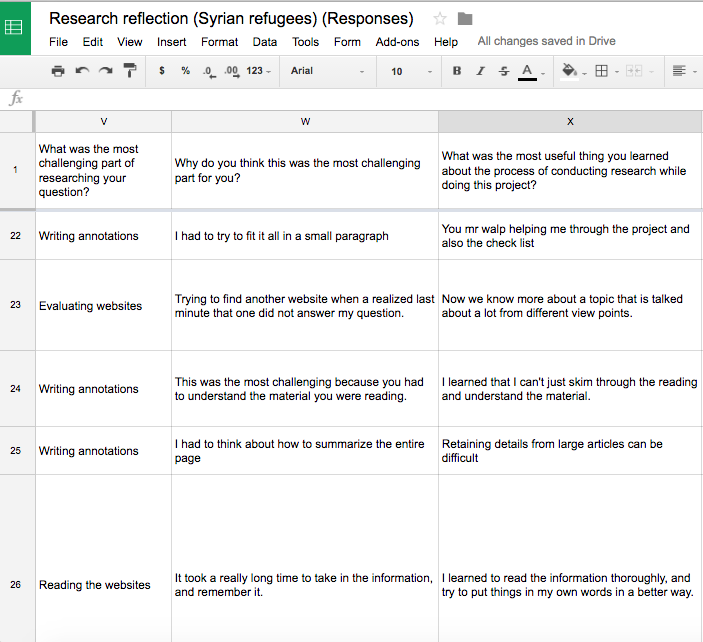 I administer a reflection at the end of each unit using Google forms. Check out the all the responses here. I’ll take a 75% approval rating any day of the week and twice on Sunday. Did you like the China project? Why or why not? It was fun working together as a group and completing each phase of project together (teamwork and cooperation). 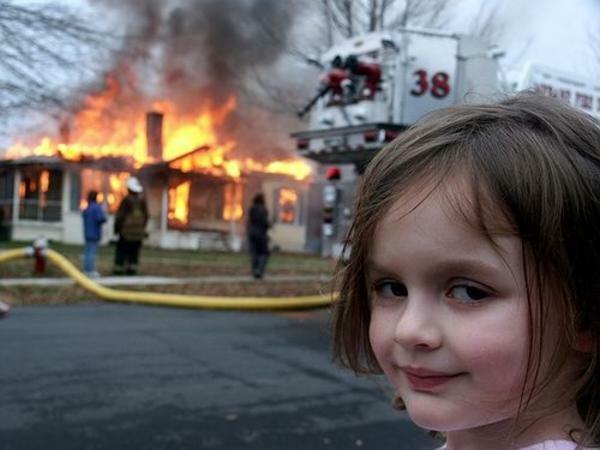 I feel like it was a lot of fun to create pictures of what happened and China. It made it easier to grasp the concept of what we were learning. I enjoyed the project because we got to be creative and take a break from homework everyday, but the downside of this was that we only got to learn about one topic. It was fun and stressful at the same time. 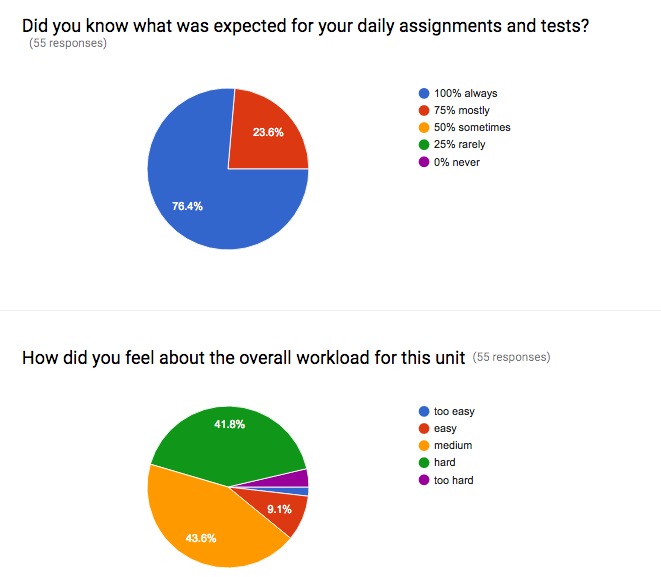 Most student responses indicated that they were happy to have a different kind of assessment and enjoyed being able to work with peers. However, a valid point is that by focusing on one topic, students basically do not get to explore other topics of interest. I try to mitigate this by screening all of the videos after the project. That way students can learn about the topic from their peers. 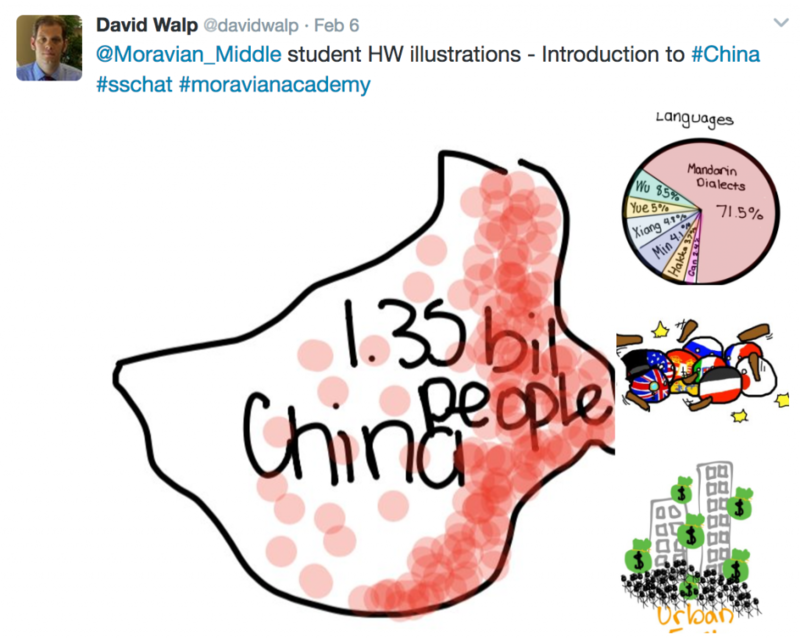 What was the most challenging part about completing the China video project? Getting all the pictures in the right order and not messing up. Condensing everyone’s facts to make a solid one and half page script and keep the video over two minutes and under three minutes. Taking notes was difficult for me but I am glad that I did it because now I can use these note taking skills in other classes for different projects. When doing the video I got a little nervous. Making sure everyone has completed their goal so we would be ready for the next day. Editing, especially collaborative editing is quite challenging. This is a bit by design within this project when I set the length restriction at 2-3 minutes. Only one or two groups have trouble meeting the minimum length. A lot of groups struggle to fit within 3 minutes. This is a noticeably more difficult process for high-achieving students. I try to make this a safer process for them in that everyone gets full credit for completing a script and video. They don’t have to worry about losing points for leaving something out. I also try to reassure them that it is in fact quite challenging to remove valid information for to make a cleaner argument. I have found that students feel more confident about making tough decisions when they understand that it IS a tough decision. By that I mean that, I have found that when students encounter a challenging task that they think should be easy, their response is to think that they are doing it incorrectly (i.e., they are “dumb”) rather that it is difficult even though they are smart and capable. What advice would you give to future students to help them do well on this project? Make sure everyone is on task and understands what to do. Manage your time well in class because even though it seems like a lot of time it isn’t. I would tell them to be a good team member and do the work that needs to be done so that your group succeeds. Get work done earlier if you can, because the more time you have to rehearse and get comfortable with your script makes the overall grade better. Accept your topic and just do it. Time management. Group cooperation and collaboration. No surprises. The last comment is instructive because no matter how much I try to take student preferences into account, I cannot create working groups for this project and also give everyone their first choice topic. Strong time management and clear goals. I am happy with these results because those are my priorities while facilitating the project. Frankly, I view artistic direction as the least important job for me on the list…particularly since students are not scored on artistic merits of their video. Otherwise a mixed bag. The research component continues to be a work in progress. One skill I should address more directly for next year is how to evaluate a website for quality and reliability. I really like running this project, and generally get positive feedback from students as well. On a multi-year timeframe I can easily picture swapping this out to a different unit to keep it fresh for me, but otherwise it feels good to have a solid activity in the toolbox. What did you think of the project? Have you done similar projects? What could I do differently next time? Tell me in a comment! This work by David Walp is licensed under a Creative Commons Attribution-NonCommercial-ShareAlike 4.0 International License.